For as much as they’re supposed to be an Orioles rival, the Nationals sure acted friendly during their weekend visit to Camden Yards as they gave away games to the home team. The O’s are now riding a season-long four-game win streak following their sweep of the Nationals. It was the Birds’ second sweep of the season following May’s successful three-game effort against the Red Sox. 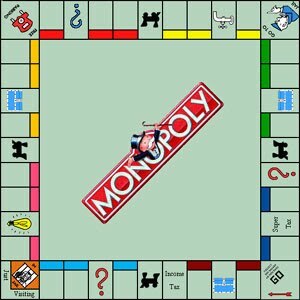 The RISP Factor: If baseball stat sheets were Monopoly boards, the Orioles would have built multiple hotels on the Baltic Avenue side of Runners in Scoring Position by now. The team has owned the low-rent district whenever runners reach second base, placing last in baseball for average, hits, RBI, runs, on-base percentage, slugging percentage, and OPS. However, the Orioles passed go and collected a .406 (13-for-32) average with runners in scoring position during their weekend sweep of Washington. They batted .435 (10 for 23) during their sweep of Boston earlier in the season. With the improved effort, the Orioles moved out of last place in three RISP categories: hits, runs, and RBI. They remain in last place for average (.001 behind Seattle), on-base percentage, slugging percentage, and OPS. It’s not exactly the type of stuff that earns a team a ticker-tape parade, but for one weekend at least the Orioles performed in the clutch. Error Prone: True to form, the Nationals were anything but clutch in the field. Washington leads the major league in errors with 68 miscues in 76 games. The Nationals committed five errors in three games in Baltimore, including four on Friday night when they allowed the O’s to rally from six runs down. The winning run on Friday came via a throwing error. Saturday’s winning run scored on a wild pitch. Bullpen Blues: The Nationals got off to a good start this season partly because of their bullpen, which has struggled more of late but still ranks seventh in the major leagues in ERA from the seventh inning on at 3.42. The Orioles, meanwhile, are next-to-last in baseball from the seventh inning on with an ERA of 5.53 (only the Diamondbacks are worse). The teams did a role reversal during this series: Washington allowed six runs in the seventh inning or later while the Orioles allowed none.